Design Restaurant Eevert, located in the neighbourhood of Punavuori, Helsinki, has been created in a building designed in 1952 by architect Alvar Aalto. The interior design of the restaurant reflects Aalto’s functionalism and modernism combined with fascinating contrasts of colours, materials and shapes. 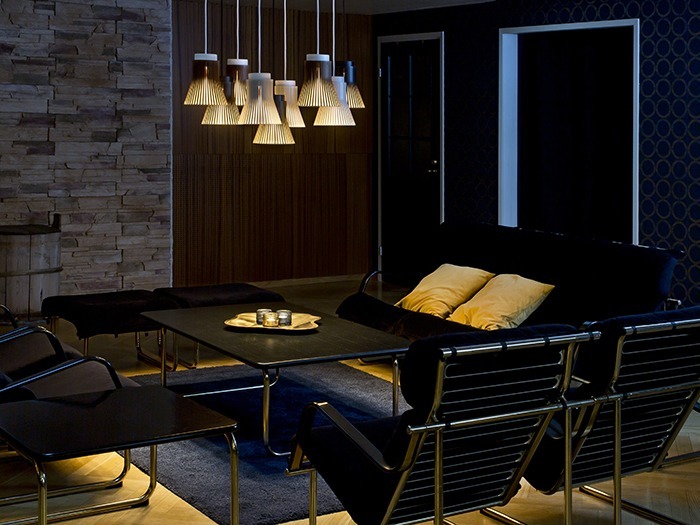 Eevert’s founder, Tarja Martiskainen, has an appreciation for Finnish design and has included signature pieces of Alvar Aalto, Seppo Koho, Harri Koskinen, Yrjö Kukkapuro and Lars Sonck in the interior design. The lighting of the restaurant is eye-catching. 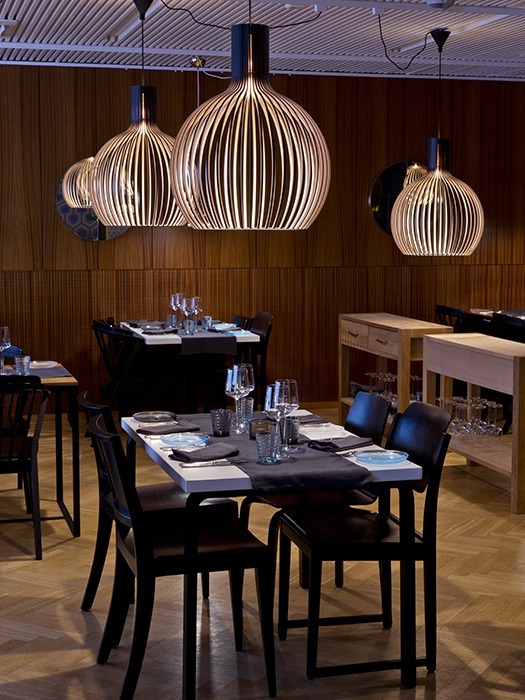 The dining area is lit with handmade wooden lamps by the Finnish lighting company Secto Design. The black Octo pendants hold the key role in the lighting design of the restaurant bringing structure and playful drama into the space. Another interesting lighting solution provided by Secto Design can be spotted in the lounge area where a cluster of Petite pendants create an impressive installation by the fireplace. 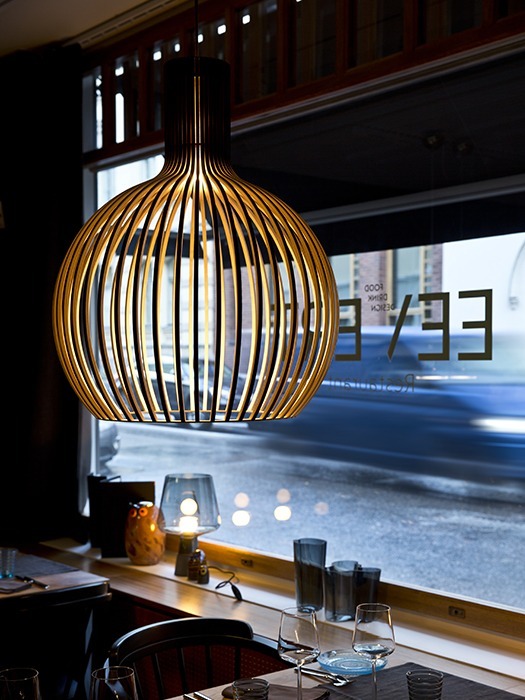 The contemporary design and clear lines of the Secto Design lamps suit the restaurant’s interior perfectly.